Michael Scott took control of the $365 Monster Stack 3-handed and never released his grip on the tournament. He takes the win, defeating Vacaville's Rickey Evans heads-up to earn $24,812 and the #TVWSOPCircuit ring. Down 4-1 in chips, Evans called the preflop bet from Scott, moved in with a flush draw against the bottom pair of Scott and did not improve on the tournament's final hand. Evans collects $15,335 as runner-up. Scott began final table play 2nd in chips to Jed Hoffman, and he eliminated Hoffman in 3rd place to get to heads-up with Evans. 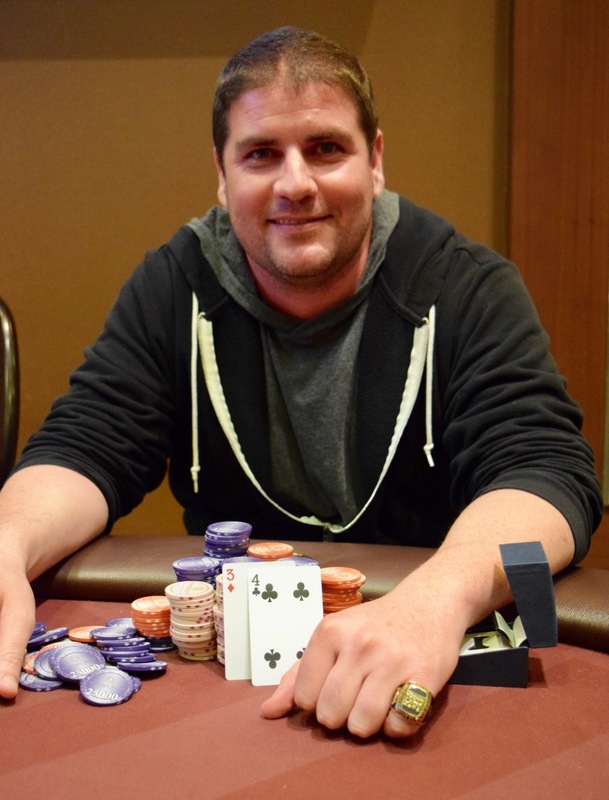 Other cashing in this WSOP Circuit Ring event included Charles 'Woody' Moore in 7th, earning his 100th career circuit cash; WSOP Colossus champ Ben Keeline (11th), who was 3rd here last month in the WPTDeepStacks Season Championship and WPT Champions Club member Pat Lyons (38th). The 376-entry event that carried a $50,000 guarantee came in with a prize pool of $112,800 and paid 45 places. Here's the final results from Event 6 - $365 Monster Stack.